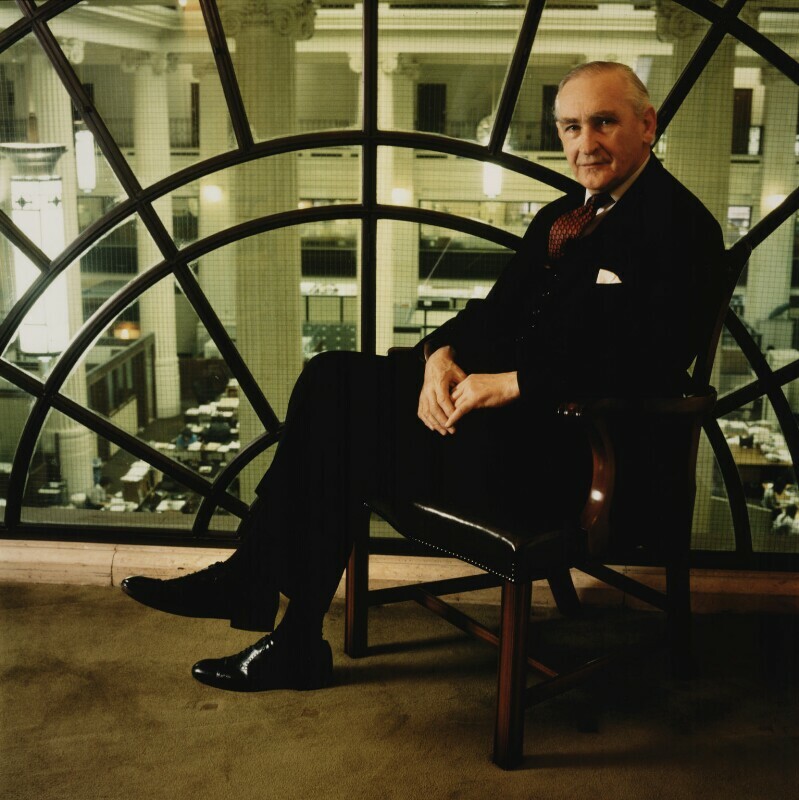 Thomas Gray Boardman, Baron Boardman (1919-2003), Lawyer, company director and politician. Sitter in 2 portraits. Philip Bier (1964-). Artist of 2 portraits. 96 people are crushed to death at the Hillsborough football stadium in Sheffield. The accident took place when Liverpool fans were all let into the stadium at once. Incoming crowds crushed people against a fence used to prevent pitch-invasions. Following the Taylor Report into the incident standing terraces and fences between fans and pitch were banned. Following the publication of Anglo-Indian writer Salman Rushdie's novel The Satanic Verses in 1988, the leader of Iran, Ayatollah Ruhollah Khomeini, announces that the book is 'blasphemous against Islam' and places a fatwah (death sentence) on Rushdie, who is forced into hiding for several years. The Berlin Wall is dismantled, reunifying East and West Germany and symbolising the end of the Cold War. Following a decision to allow East Berliners to cross the border with valid visas, crowds swarmed the border crossings. Guards soon gave up trying to stop them, and the physical dismantlement of the wall soon began. Approximately 2,000 Chinese demonstrators are massacred in Tiananmen Square while protesting against the government.